If you are putting together your leadership development programme and are looking for something new for 2019 onwards, then this is for you! 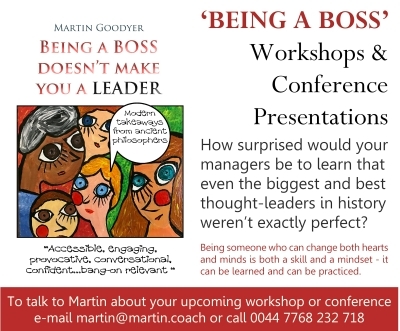 Using lessons learned from 22 of the greatest thought'leaders the world has seen, Martin blends the book content with effective and pragmatic coach-related training. A one day workshop will prepare managers to become 'Crypto-Coaches' - crypto meaning 'hidden', in that they learn how to embed coaching approaches into their everyday behaviour to help them be on-the-job managers acting in the manner of a coach in their day to day conversations. Two day workshops adds being a fully-feledged Manager-Coach to also being a Crypto-Coach - in that they can not only engage in authentic conversations that lead to spectacular coaching results but they also know how to hold planned meetings such as one-to-one job chats, management updates, or performance appraisals using coaching as their approach. 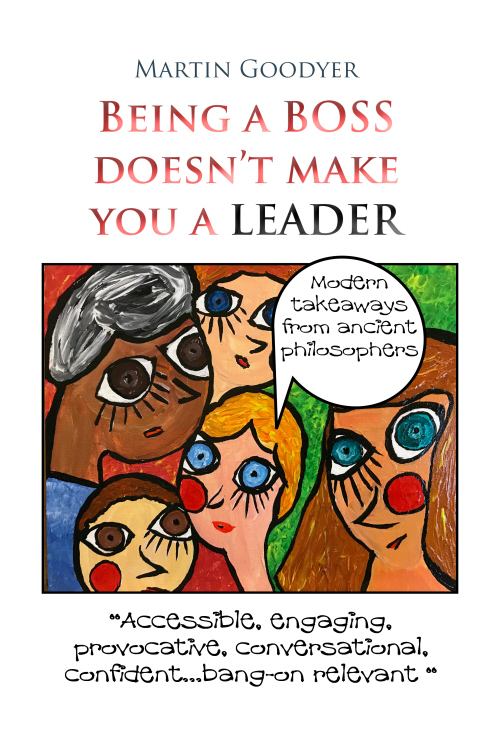 By the end of any training workshop and the follow-on embedding process (that comes as part of the workshop package), managers will have moved from being just a boss, to be a leader that people will want to follow. Every delegate attending the workshop programmes comes away with a copy of the book ... whether they want it signed or not is up to them!